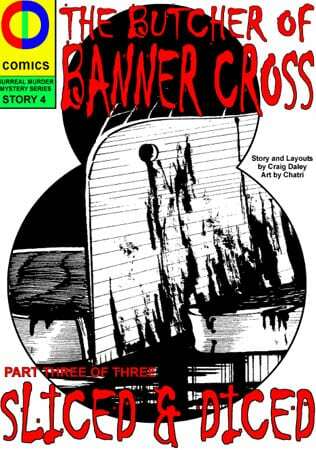 The second issue of CDComics’ three issue story The Butcher of Banner Cross is now available on digital comic download websites just in time for Halloween. ‘Meat is Murder‘ continues the investigation of the baffled Police as two more people fall victim to the unknown killer who dissects the bodies and removes their internal organs. The Office of Paradoxical Unnatural Security Agent, Watkins is equally puzzled by the gruesome crime scenes, but Punchline, a character who is as mysterious as the murders he investigates appears to have all the answers. 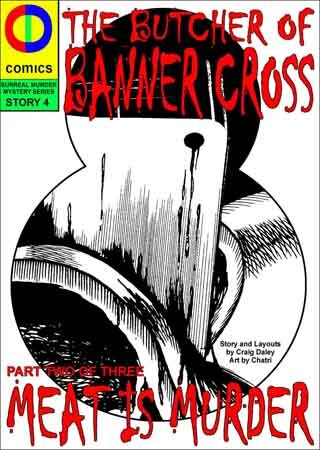 This is a macabre tale with plenty of dark humour as what appears to be a flesh eating inhuman creature stalks the streets of Banner Cross. 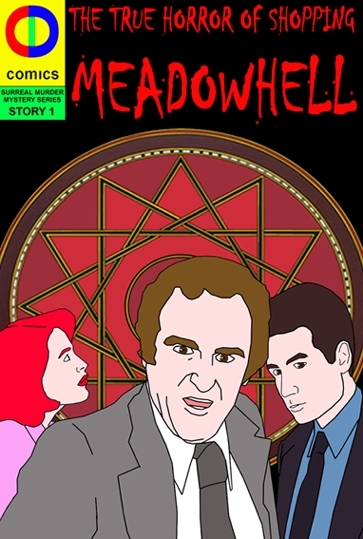 You can read my review of the first issue here. Find out more about CDComics.